There are quite a few cheap Las Vegas wedding packages sold by chapels in the area, but often not all the costs are declared which could end up in you paying a lot more for your wedding than you intended. Not quite the cheap wedding you had hoped for! 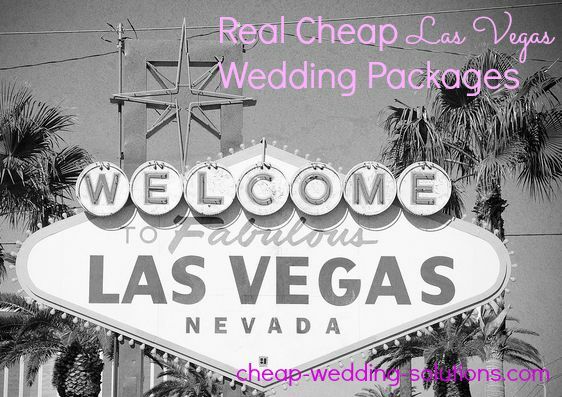 So, I have had a look at the most popular and cheap wedding packages in Vegas to find out if they are the real deal or if you are going to get a bit of a shock. Although your wedding is only going to cost you $87 if you do not add any extras you will still need to pay $100 deposit to book your date, which does seem a bit crazy since this is more than the package. Flowers are really expensive $45 for 3 roses!! Kind of hoping they will be plated in gold at that price but very much doubt it. There will also be extra charges for photos - $35 for a souvenir and minister costs plus any gratuities. and there will be extra charges if you don’t purchase your flowers through the chapel. Full payment is required when booking. Choose where in Las Vegas you would like your wedding ceremony and the moving Las Vegas Wagon will take you there! and 15 digital photos to remember the day. Doesn’t include a bouquet or flowers for the groom. You can purchase these in their online store. Elvis will sing 3 songs for you – before, during and after the ceremony. There will also be a rose nosegay and a rose boutonniere. La Petite wedding ceremony for up to 10 guests. Your ceremony will be over very quickly! Whichever wedding package you go for don’t forget you will need your marriage license, obtained in Las Vegas, with you to your ceremony. Also, most venues will require a deposit, this can be up to 50% of the total price. And quite often there will be an additional cost for the ministers’ fees. I have tried to include these in the prices quoted where the information is available. Plus quite often prices change and they can go up as well as down, prices were correct when I researched the article but please click on the links to get more information.